Yoga at the Village voted "Best Non-Threatening Yoga Studio in LA!" Click Here. Check us out! Yoga at the Village is PayPal verified! specifically designed to meet our clients varying needs. Workshop refund requests are subject to a 25% administrative fee. Surya Namaskar (Sun Salutation) is a fundamental sequence in many Hatha yoga traditions and an important aid in overall health. This series of asanas massages and detoxifies the internal organs, promotes cardiovascular and respiratory function, boosts the immune system, all the while strengthening muscles and improving flexibility. Additionally, the fluid and meditative movement through the asanas promotes a deepened connection between the mind, body, and breath. The traditional Mala practices Surya Namaskar 108 consecutive times. Introduce YOU to Your Inner Master! Yoga at the Village is honored to once again present a unique Expanded Study and Teacher Training course for enthusiastic practitioners, as well as potential instructors. You do not need to be an aspiring yoga teacher to take this course. Bring your Sweetie or a Good Pal! TEACHERS: Earn 3 continuing education units toward your Yoga Alliance renewal. OR JUST BECAUSE ITS FUN! BOTH GIVER AND RECEIVER GET A GREAT WORKOUT. 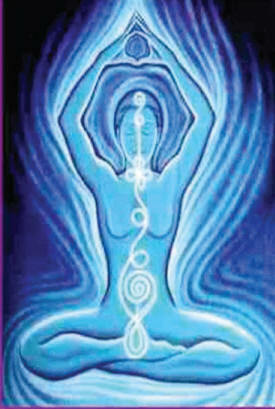 massages internal organs, reduces stress, increases energy and facilitates mind/body/spirit balance. 7:30pm - $10 at the door. 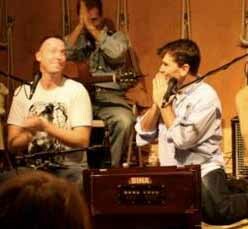 Yoga at the Village is proud to host Tim Jordan and his band. to host him on a monthly basis! connection to our true selves, connection to others. *TEACHERS: Earn 3 continuing education units toward your Yoga Alliance renewal. that is both safe and effective. 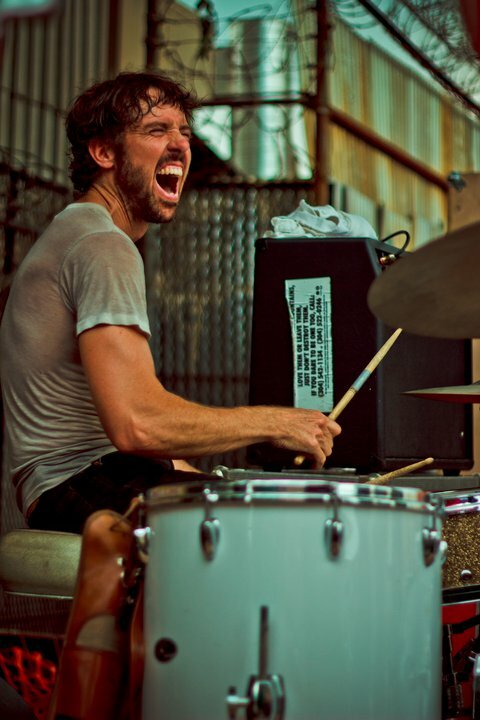 This two hour monthly gathering focuses on the meditative space found within drumming. We'll explore the overlap between the spaces found in drumming, a meditative Asana practice and via Pranayama etc. But mostly these monthly gatherings will be for playing drums and learning by doing. Compared to the three hour Yoga Drumming workshop we held in December, we'll spend less times on the basics of rhythm and spend more time just playing and entering into that calm meditative space that drumming can offer. We'll still do some Pranayama and Asana to continue to draw that correlation and guide our focus internally. Bring comfortable clothes, a drum if you have one, (some will be provided), and an open mind and playful spirit. Suitable for all levels of ability. Please bring comfortable clothes for a standard Yoga practice as well as writing materials. There will be lecture segments of the workshop. Also bring a small hand drum (if you have one.) Several drums will be provided and all will have a chance to play. Suitable for all levels of ability. *TEACHERS: Earn 2 continuing education units toward your Yoga Alliance renewal. Workshops will be limited to a small number of students. Please register early. In this 2-part workshop series, you will discover ways of viewing your body and experiences from a holistic perspective. This unique series provides understanding of the details in anatomy by exploring the concept of yoga (union) and how it applies to our physical being. Appropriate for teachers and interested students of yoga, pilates, exercise, bodywork, dance and movement arts, particularly where there is an element of mind-body emphasis, this is an applied anatomy studies course like no other! This workshop delves into the studies of Pranayma and Bandha as they are connected to yogic postures. This brings them to higher levels of mental and physical involvement which leads to greater freedom, emotionally and energetically. With the integration of these three disciplines, the body builds more strength and vitality while practicing yoga postures, than it would without this connection. The circulatory, respiratory, and cleansing systems of the body become more deeply involved and therefore, more deeply activated. The concept of chakra originates in Hindu texts, featured in tantric and yogic traditions of Hinduism and Buddhism. Its name derives from the Sanskrit word for "wheel" or "turning". Part lecture, part practicum, this workshop will explore the seven major energy centers of the body. Learn the location and significance of each of these body powerhouses and how to identify energy blockages that prevent ultimate health and well-being. 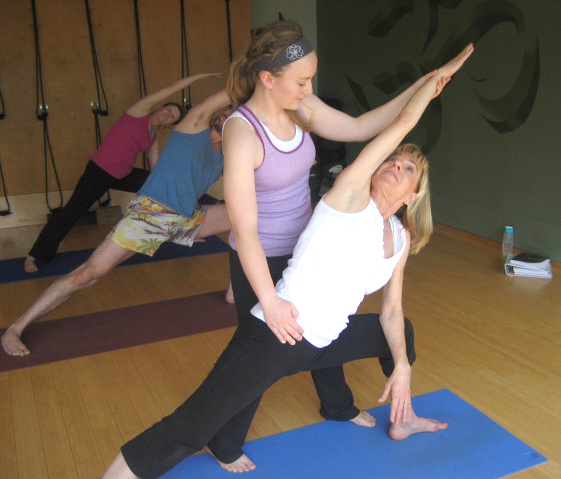 Design a yoga practice to break through stagnation and fine tune your energetic body. THIS WORKSHOP IS NOT BEING HELD AT YOGA AT THE VILLAGE. One mile SE of our studio. Ayurveda is considered by many scholars to be the oldest healing science. In Sanskrit, Ayurveda means, the science or wisdom of life. Originated in India more then 5000 years ago, Ayurveda is an ancient philosophy based on a deep understanding of eternal truths about the human body, mind and spirit. It stems from the ancient vedic culture and was taught for thousands of years in an oral tradition from accomplished masters to their disciples. Viniyoga or Yoga as TKV Desikachar wishes that the discipline be called, is rooted in the principles taught to him by his father, Sri T. Krishnamacarya. Krishnamacarya was also the teacher of well known contemporary Yoga masters B.K.S. Iyengar, K. Pattabhi Jois and Indra Devi. The American Viniyoga Institute, founded by Gary Kraftsow, uses the term Viniyoga to refer to Yoga as a practice that is adapted to meet the physical, mental and emotional needs, present lifestyle and goals of each individual. The practice can include asana, pranayama, sound, meditation and other classic elements. Viniyoga emphasizes breath and postures, often coordinated in movement, to strengthen and address the therapeutic requirements of the individual. Going upside down is scary to most of us. Inverting is one of the most important and fun things that a Yogi does. and enjoy the benefits of inverted postures. TEACHERS: Earn 4 continuing education units toward your Yoga Alliance renewal. Pregnancy is an amazing process. A regular yoga practice helps to make each trimester an incredible experience. This workshop will include a nuts and bolts breakdown of what happens in a woman’s body during pregnancy and the "Do’s and Don’ts of Pregnancy Exercise"
Learn and practice postures and adjustments to share with pregnant students in your yoga classes. Learn and practice postures to promote ultimate health and well-being during your pregnancy. Our practice will include the Top 5 Favorite Asanas for Pregnancy. Also known as the Yoga of Awareness, Kundalini Yoga as taught by Yogi Bhajan is considered the most comprehensive of yoga traditions, combining meditation, physical exercises, breathing techniques and mantra. It is said that the Kundalini energy resides dormant in each of us, and when we awaken this energy we can awaken to the power of our true nature and greatest potential. Ashtanga yoga, as taught to Sri K. Pattabhi Jois by his teacher, and as he passes down to us is a set system of poses linked by movement and breath. Power Yoga is said to be based on it, and while both are physically demanding, Ashtanga in it's true form is hugely different. Ashtanga has a scientific design, which is malleable to include those of all physical abilities, and that is structured to help the practitioner not only achieve fitness and health of the body, but stillness and well being of the mind. In this workshop, safety of the body and stillness of the mind will be used as a means of attaining the poses, and considered of higher importance. Class starts at 10:30 and ends at 11:30. Music With Sara is a "Grown up & Me" Bilingual Music Class for children ages 0-5. In this class, children will sing in English and Spanish, dance, and use rhythm instruments to make meaningful experiences with music. The NEW Music With Sara class will be a 40-minute interactive music class using a variety of instruments and props along with vocal techniques to begin developing your little one's aptitude for music. The class will end with a 20 minute dance party. So be ready to bring your dancing feet (no shoes remember) and start thinking of your best dance move for the soul train. The GIFT for your favorite Couch Potato or non-mover! the workshop start date and are subject to a 25% administrative fee. as a means to achieving essential vitality.